Dental cone beam computed tomography (CT) is a special type of x-ray machine used in situations where regular dental or facial x-rays are not sufficient. 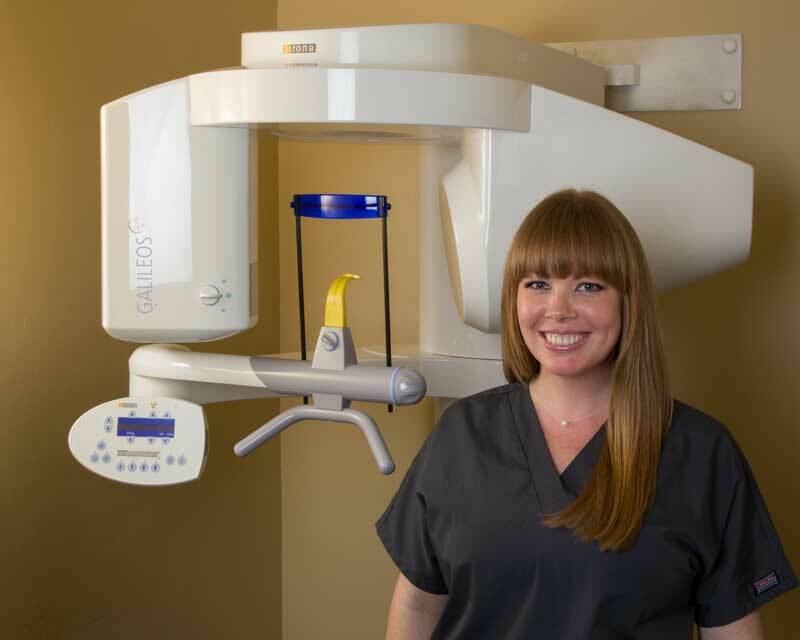 This type of CT scanner uses a special type of technology to generate three dimensional (3-D) images of dental structures, soft tissues, nerve paths and bone in a single scan. Images obtained with cone beam CT allow for more precise treatment planning. CT scans are especially useful to evaluate pathology, bone anatomy, and precise nerve location. It is necessary when planning dental implant placement.